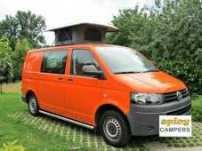 Many people travel to Morocco in a camper van or a larger motorhome. Morocco picturesque, exciting and different from anything else you have ever seen before and so very close to Europe, that it would be pure shame to miss all this magic. 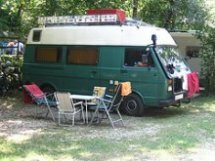 Traveling here is a must for any real camping van enthusiast! 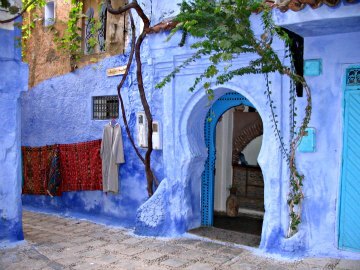 Morocco or al-Maghrib (The West) as it is named in Arabic language is a north African country that has been traveled to for decades now. And besides southern Spain and Portugal it is recently becoming a favorite destination for thousands of northern Europeans that migrate to the south during the winter time. 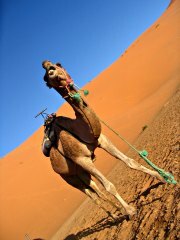 So is your travel to Morocco safe , as many people ask me? Of course you can safely travel here. Pick pocketing, burglaries and so called "terrorist attacks" every now and then are standard in larger cities. Nothing new to the so civilized "western world" we live at, huh? 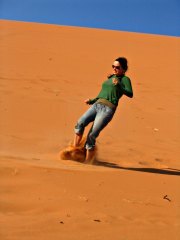 And the last time my my wife and I decided to travel to Morocco in 2008 things were just fine! To say the truth, it was one of our best adventures so far and I strongly recommended it when you get a chance to do it. 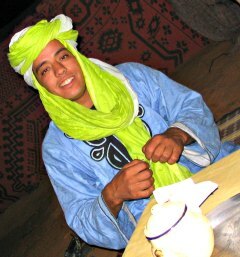 Morocco is a mix of Arabs, Berbers, and many more. It's a strange and unimaginably beautiful place all at once. This is the world of merchants and performers, people of all colors and cultures and many have to take care for themselves in any way they can. Life for many is a struggle here, so you have to understand that for these people you are a rich man, and they will try to get money from you in many ways. The merchants and traders will get pushy and rough sometimes, but along the road you will also need honest and fair people. The sad part of this story is, that most of us dedicate our lives chasing a piece of printed paper that is not worth the ink printed on. Just something to think about before you travel to Morocco. 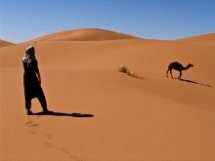 Morocco is divided to the Atlantic side and the Rif mountain range in the north, the Atlas (the main and highest mountain range), the desert on the west of the Atlas mountains, the middle part and Western Sahara. The food is almost always excellent and cooked in the national tajine (meat, fish and vegetables in a ceramic or steel dish) and couscous with similar ingredients. And the mix of spices will always remind you that you're not at home. 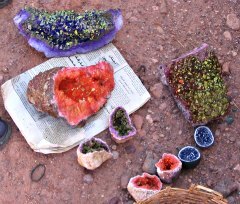 And if you wish to bargain with the Berbers in the Atlas mountains for crystals and fossils (they're absolutely beautiful), bring some of your old clothing, shoes, pens and even candy to trade with! 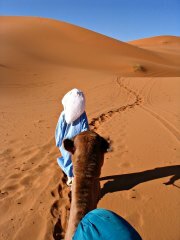 In order to travel to Morocco, a little bit more of time and preparation is needed. Ferry boats have departures from Genova in Italy, Sete in France and the southern tip of Spain, where you need to cross the Straight to Gibraltar. My wife and I chose to take the ferry from Algeciras in Spain to Ceuta, still a Spanish town on the northern tip of Morocco. I read a lot about the chaos on the border, but to my surprise there were only a handful of vehicles there. Lucky me! Border formalities are another thing. French is widely spoken by the Moroccans and English is something from another world. Well I don't speak French so you can only imagine how the whole thing looked like. A lot of body language kind of thing, if you know what I mean! Lot's of paperwork, even more stamping and running around from one window to another. 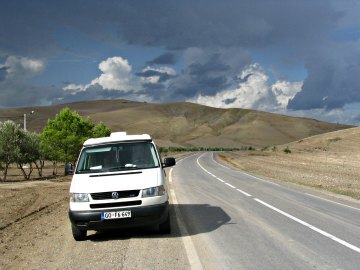 One thing I do remember is that I was given a document for my van, which I had to show again upon leaving Morocco. So keep it somewhere safe. But the "customs guy" had a soft heart. He knew where we come from, took out a map, showed me what's worth seeing in his country, smiled and as we shook hands he said in his broken English; "Welcome to Morocco!" A nice road took us to Tetuoan, the first largest city on the way to Chefchaouen. We changed our Euros to Dirhams in a Supermarket here, bought some groceries and of we went into the Rif mountain range. 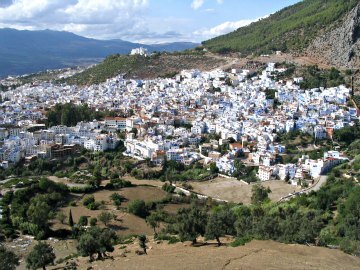 Chefchaouen is a picturesque old town with white and blue houses, whitewashed alleyways and low, Andalusian-style arched passages in the middle o the Rif mountains and a nice camping site just above the town. 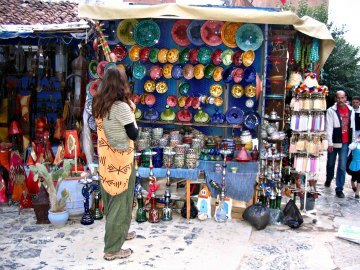 It's a great shopping place, one of the best besides Marrakech in the country. Camel wool and leather products, spices, homemade cosmetics, colorful lights, pottery are on the top of the list and all available on the streets. The streets are a true work of art and local products are cheap and of high quality. When you travel to Morocco, travel light. 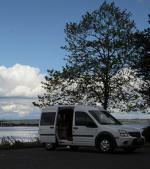 My wife and I filled up the van with clothes, apparel, herbs, spices and god knows what else here. It's really great and tasty stuff they have here! Most of the goods are hand made while some come from small factories. Here you will have to bargain for the prices. Moroccans are tough dealers, and many of them tried to rip us off...but along the way we learned their dirty tricks. The town is also full of marihuana, and the local dealers tried to sell us some just behind every corner. At first it was annoying, but then we kind of got used to it. On our way to Fez we took the road through the valley of Ketama for one reason only. Marihuana is largely grown here and we wanted to see the fields of the partially legalized plants. 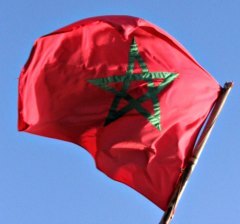 The government knows about it and keeps one eye shut, knowing that the people and Morocco as well, have to live on something. The fields were all harvested as it was mid-October, but the weed was everywhere. Young kids and other locals with bags loaded and ready to sell and cars overtaking and trying to stop us in the middle of a winding mountain road for the same reason. It was scary at times, something out of a movie, specially the few attempts to fully stop us in the middle of nowhere. But we wanted to see it and we got our money's worth. Fez is the oldest medieval city with the largest Medina in Morocco. The Medina has many entrances and it's build like a maze, so finding your way around and out is impossible. 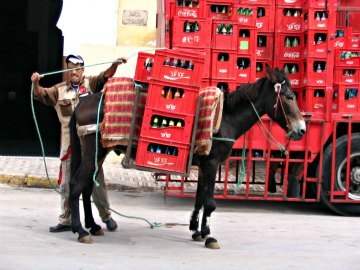 The transportation in the Medina is carried out on donkeys or mules. Of course there are so called guides all around the town offering you all kinds of services and prices. After a lot of tough bargaining we hired one ourselves at about 9:00AM and after a couple of hours we got fed up with his bag of dirty tricks. The only thing he did was taking us to the stores that obviously belonged to his friends, whose only intention was to persist us into buying something we didn't need or want. By the time it became obvious that there we be no deal, they all got arrogant and tried to get rid of us as soon as possible. We exchanged a few harsh words with the guide, I payed him half of the price we agreed on, shook hands and separated our ways. That's how you do business in Morocco. Sometimes it's kind of rough, but that's the way it goes. Get used to it if you travel to Morocco. The next road took us to the Atlas mountains and the town of Ifrane, build at an altitude 1650/m. above the sea level. It was build by the French in perfect Alpine style and has absolutely nothing to do with Morocco. Ski slopes, hotels and higher prices are tailored out for foreigners that live in this country. Azrou has the oldest cedar tree in Africa and the kingdom of wild Berber apes. They're kind as long as you feed them and will snap the food away from you if you're to slow. 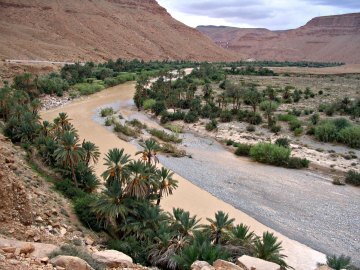 Through the picturesque Gorges Du Ziz with a river to swim at and palm trees at the side, we arrived to Er Rissani and Merzouga, from where we finally reached the great red dunes of Erg Chebbi, close to the border with Algeria and full of"smelly camels". We stayed in a beautiful Kasbah with a camping site (well sort of) in the middle of the desert, took a camel back trip to a Berber village in the Sahara and spent a beautiful night with a tajine dinner served in perfect peace under millions of stars. And early morning gave us the opportunity to climb one of the dunes and watch the peaceful sunrise in the desert. Absolutely pure magic. It was from this point that I finally opened my eyes to the fact, that only people create noise and pollution...not the nature or the universe. One of the main reasons to travel to Morocco I guess. From the desert we headed down south through the stunning valley of Todra under the Atlas mountains which is also mountain climbing center. 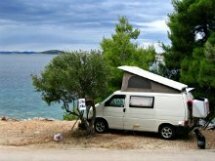 A lot of camping sites can be found here, so don't you worry about where to stay. Further on we passed the valley of Dades, a valley full of Kasbahs and fields of roses. 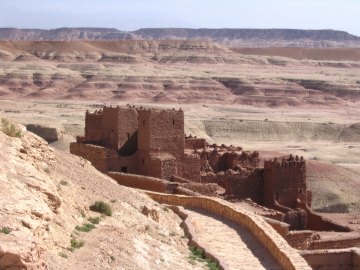 From there on we reached the village of Ait Benhaddou under UNESCO protection and a movie landscape scene of many famous movies such as the "Gladiator "for example. An absolutely stunning scenery of red and yellow cliffs and mountains in with nothing else even close by. 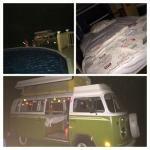 This is the first part of our travel to Morocco. 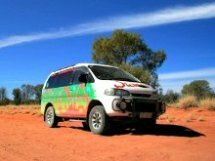 Just click here and link to the second part of our magical experience.